Where are we going with the language of the street from both parties — gutter politics? As India nears the general elections of 2019 it’s open season and the flavour seems to be to blame everything on the Prime Minister Narendra Modi. As India nears the general elections of 2019 it’s open season and the flavour seems to be to blame everything on the Prime Minister Narendra Modi. 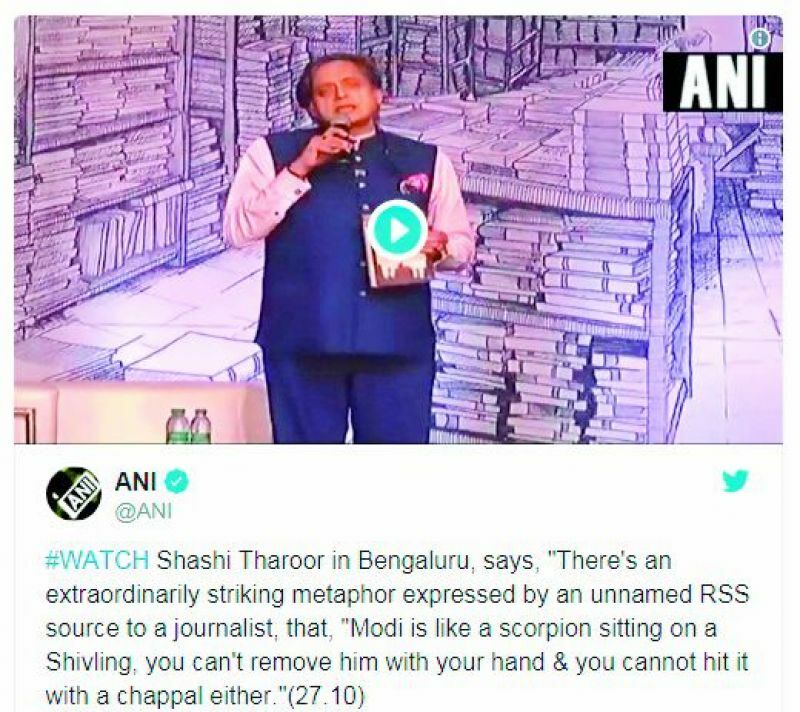 The language of political discourse has hit such lows that it came as no surprise when the wordsmith Shashi Tharoor pulled out the “Scorpion on a Shivling” remark which he ascribed to an unknown RSS source. 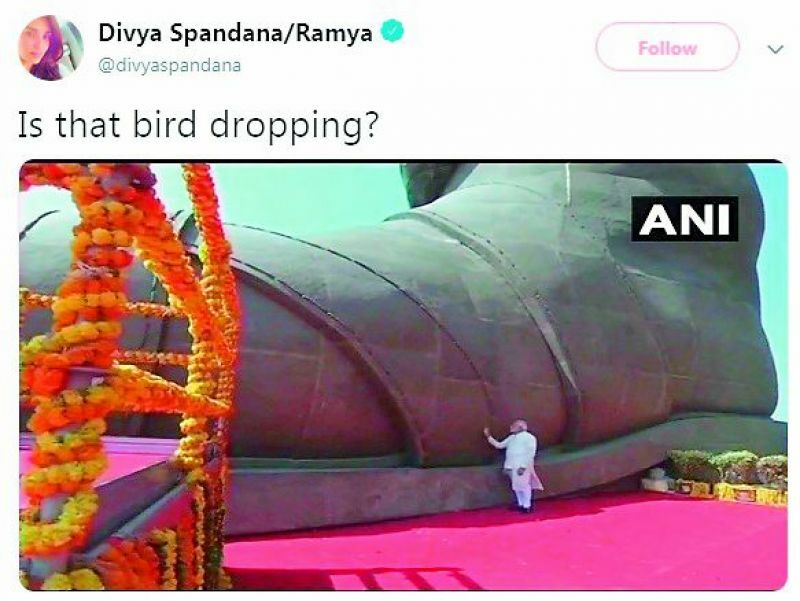 If that was a bit “neech”, wait until the Congress social media diva Spandana came up with her “bird dropping” allegory. Dear @divyaspandana Ma’am Goal is too big to achieve focus should be on issues and things which concern common man these kind of things will not solve any purpose and controversy at the time of election is unwanted. Didn’t mean to doubt your integrity if you are inferring that. Admire your work, however you have to admit that BJP gets away with WAY more, and your profession in general enables it with exactly SUCH behavior. The normalization of ‘pappu’ happened even while NDTV existed. RT if you believe that #SardarVallabhbhaiPatel was a CONGRESS MAN at HEART & he would never have wasted 3000 cr on a #StatueOfUnity and instead built SCHOOLS & HOSPITALS for the future. It’s really nice of our PM to send these but could he not have sent them without changing the name? All my life I’ve known these jackets as Nehru jackets & now I find these ones have been labelled “Modi Jacket”. Clearly nothing existed in India before 2014. Mr. President, You are wrong. 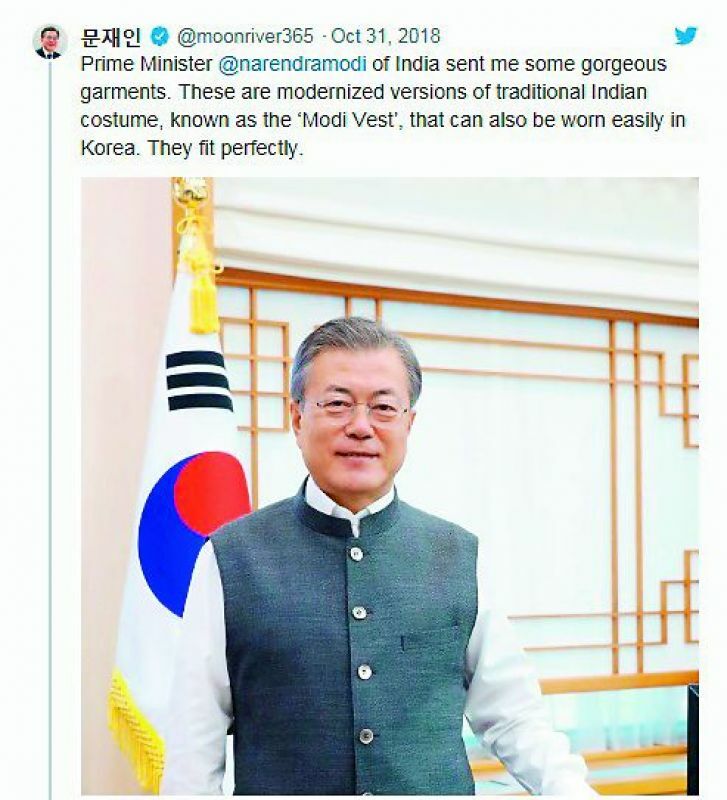 This is not Modi Vest, this is Nehru jacket. Modi is no Nehru, can never be one. 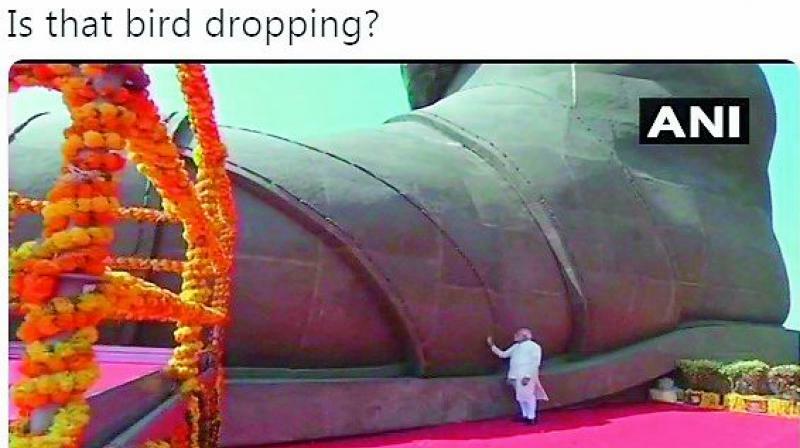 If anything Modi, that is Khaki Nikkar. There’s another takeover of the Congress legacy: Now the Nehru jacket is known as the Modi jacket. What you call Nehru Jacket, also known as Bandi in Hindi, is older than Nehruji as well. It has existed since around 10th century. Naming happens on the basis of who popularises it. Earlier, Nehru ji did it, hence Nehru Jacket. Now Modiji is popularising it; so, Modi Jacket. This comment (not by me) has been in the public domain for six years. RSPrasad making an issue of a 6yr old quote shows how little new the BJP has to offer the nation. As for media subserving the BJP’s desire for “controversy”, when will this “profession”develop any self-respect? And while you’re about it, could you explain where the alleged insult lies? I worship a Shivling at home & carry a miniature Shivling in my pocket daily. Insulting Lord Shiva is unthinkable for me. But exploiting him for petty politics is apparently OK for you. 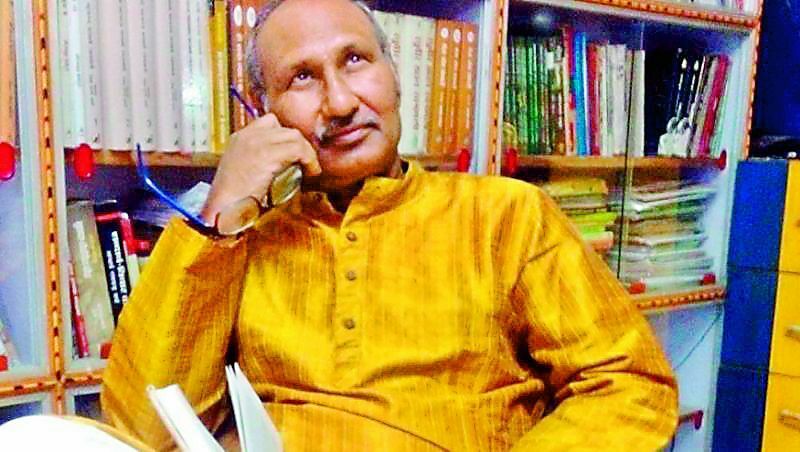 Matuk Nath Choudhary, popularly known as 'Bihar's love-guru' retired recently as head of Hindi postgraduate department at BN College in Patna University, and wants to marry again. Although it's absolutely fine wanting to get married at any age, but what's making the internet go into splits is the fact that the professor is boasting of his "pandiculated youth". Matuk, as quoted in the report, said, " I am a 65-year-old boy. My youth has just pandiculated. Puberty is reflected in my body parts. People turn and look at me, when I walk briskly...I am fortunate that I am retiring at the prime of my youth. People keep asking me what I would do after retirement. I will do what is done at the prime of youth— marriage." Matuk has been in the news ever since he got married to his student Julie in 2004. Due to the relationship, he was suspended from his college, and later sent to jail, after his wife, along with journalists raided his house.